We promise to provide the best value for window replacement in Littleton. Vivax will perform the best install, with great windows and a best-in-industry warranty. See which of your neighbors we have worked for! Longmont window and doors company with a commitment to the highest quality install jobs! Vivax works with your Home Owners Association (if you have one)! Unlike many residential window installation companies in Longmont we accept no payments or deposits until you and a Vivax Pros Project Manager has inspected the job. Other window installation companies in Longmont can’t compare to us, we’ll prove it! Find out what it costs to install windows in your house with a free estimate and a no pressure Project Planning expert. They’re old and inefficient. Very common for Longmont homes to still have original builder-grade windows. Add curb appeal to your biggest investment- your home! Remember: Even the best windows on the market wont give you the look, feel and savings if the windows are not installed properly. 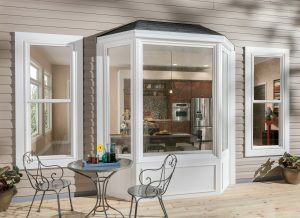 When you schedule a free consultation with us, don’t forget to ask why our installs are better than any other window company!